You will find here in this virtual showcase, the updates and news from all over the world on the various initiatives for the CityFest. New and old experiences clearly show us how much the Ideal of universal brotherhood, when lived in the life of a small or big community, is creative, stimulating, answers to situations sometimes without solutions. It is a city for every man, with a vision towards the unity of all peoples. “Italy’s Western Gateway”: this is one of the names under which Ventimiglia is known. An open door to the French Riviera, with which Ventimiglia shares bonds of geographical proximity and daily cultural, economic, and social relations. Reforestation, renewable energy, waste management, environmental education. Four keywords for a project that creates a network of the best forces for the African continent, and not only, with a view to universal fraternity. They were six when they started, but today they are over 2,000: they are the "No Pfas mothers", a group of parents struggling to get clean water, because unfortunately a very large area of ​​the Veneto Region, concerning 21 municipalities in the provinces of Vicenza, Padua, and Verona, in Northern Italy, today does not have any. A course of professional training and building of "networks" for integration that go beyond the initial reception. In Sicily there is a pilot project focusing on relationships. For 12 days in August, Marco Desalvo, President of New Humanity, together with 55 young people from various European and Middle Eastern countries participated in the first phase of “Project Host Spot" that took place at the reception center for refugees in Madaba, Jordan. The Focolare Movement expresses its closeness to the populations that were affected by the earthquake in central Italy and offers coordinated assistance. The proceedings of the International Convention “Oncity-networks of life to inhabit the planet” are now online. For this meeting, 900 participants coming from all over the world met at the Congress Centre in Castel Gandolfo, Rome, from April 1st to the 3rd 2016. Al has served in the diplomatic service of his country in many parts of the world. Presently he is the ambassador in an Asian country. This is a simply a glimpse at his work and mission. There is an African proverb that says, "If you want to go fast, go alone. If you want to go far, go with others.” This is the story of Achille Biffumbu and the community of Goma. From May 4 to May 6, the "Students' World Peace Forum" will take place in Cairo. This is the World Forum of Students for Peace 2015, whose title is "Let's Bridge;” it will bring together students 16-22 years old, representatives from many colleges and universities from all over the world, who, along with some universities of Cairo, will get together to witness the shared commitment to peace. On February 13, during the international school "Working for fraternity", with a live link we had the possibility to talk with Malu Villafane, who shared her experience as an educator in a refugee camp in Erbil, Iraqi Kurdistan. It was another lesson in the economic thought of Pope Francis.... In an audience with members of the Confederazione Cooperative Italiane (confederation of Italian co-operatives) on Saturday, Pope Francis gave the 7,000 people present five practical suggestions for their mission in the context of the current «throwaway culture». 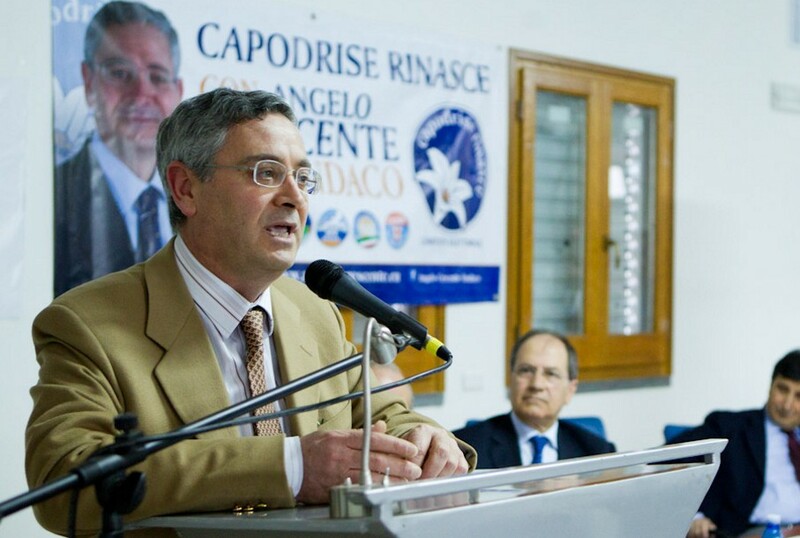 From February 12 to 15 it will be held at the Convention Center of Castel Gandolfo "Working for fraternity," a training program aimed at providing a contribution of reflection and comparison of some major current issues: poverty and social justice, migration and integration, conflict and prospects for peace. About 500 people from all five continents are expected.